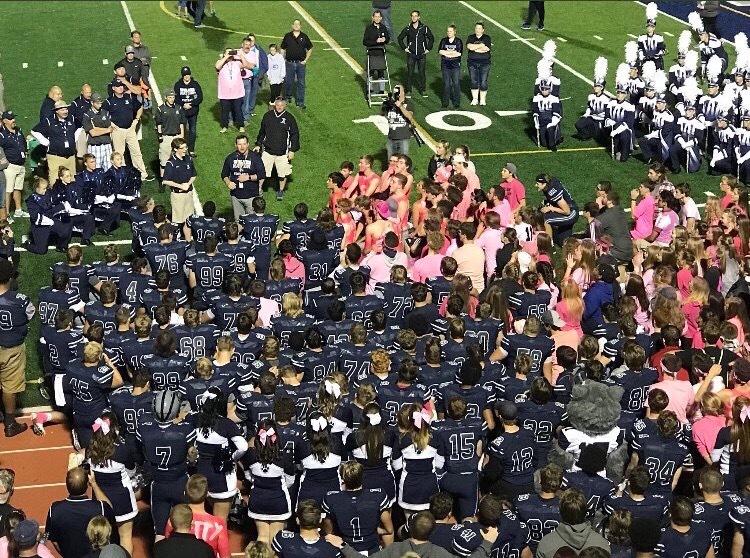 The West Clermont Varsity Football team closed out their last home game of the year by “Slaying the Spartans” securing a 21-0 win against Turpin High School. It was a slow first half for both teams before WC finally pulled ahead with a touchdown scored by senior running back Austin Maham. Before the end of the half, safety Joey Floccari caught an interception at West Clermont’s 27-yard line, but came to no benefit as the clock sent them to the locker rooms with a 7-0 lead. At the half, we saw performances from both the dance team as well as our senior cheerleaders, plus the band’s half time show. 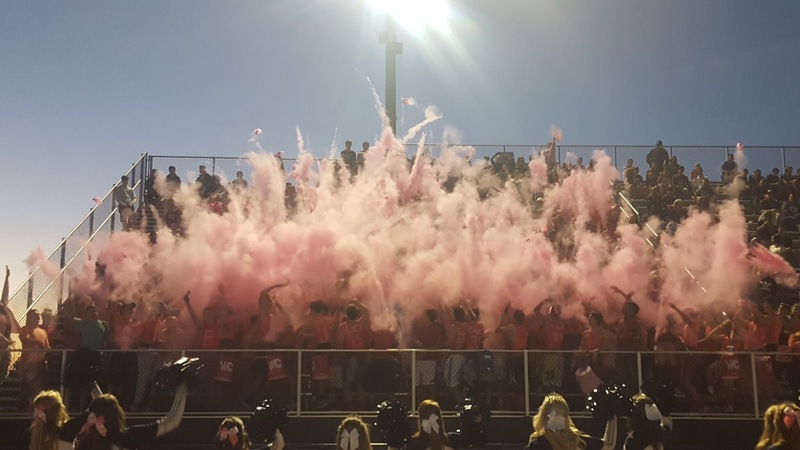 The Wolfpack continued cheering loud for their fellow classmates and seniors while decked out in pink in support of breast cancer awareness month. Once the 3rd quarter started, junior corner Austin Price set the team in motion catching an interception, leading Maham to score his second touchdown of the night. While holding the Spartans at 0, senior safety Mitch Mentzel went on to catch two more interceptions while junior running back Jake Kilgore scored the third touchdown for WC in the 4th quarter, ending the game with a score of 21-0. It was a special win for the team, as it was the seniors last home game of their high school careers. “We won for the seniors. And the team played great. I think we’re all happy.” says junior safety Matt Lewis. With a 6-3 record, the Wolves head into their last game next week against the Milford Eagles. Securing this win gives West Clermont a chance in the playoffs, as they would tie Anderson in league records. Make sure to come out and support the boys at Milford.